It's not at all uncommon for little girls to harbor dreams of being Princesses or Pop Divas. It's almost to be expected, and it's usually just a phase, a childish flight of fancy, all-too-soon replaced by the harsh light of "the real world." For Roxie, Lucy, and Eliza Abernathy - known collectively as The Pinklets ​- dreams are what you do when you go to sleep. They just wanna rock. It should come as no surprise that the Knoxville, Tennessee sisters developed a love for playing and performing. Their father, after all, is highly-acclaimed songwriter/guitarist Kevin Abernathy, so there was never a time when their home wasn't filled with music. The elder Abernathy instilled in his daughters that "performing isn't perfect - that having fun is the most important," and both parents resolved from the outset to neither overly encourage nor discourage their daughters - to let their musical ambitions be their own, and to let the love of playing be their guide. And guide them it did. Roxie, the eldest (she'll be 19 in March), took the lead, learning to play piano. She was closely followed by Lucy (now 16), who picked up the guitar and - also like her Dad - started writing songs. Youngest sister Eliza (now 14) was all of four when she started playing the drums, and by the time she'd reached elementary school, they were playing shows. It only seemed natural. The reaction at first was predictable: "Isn't that cute?" But to The Pinklets, "cute" is just a four-letter word. They wanted to be taken seriously - so much so, in fact, that Roxie briefly left the band, wary of being a novelty. They no longer concern themselves with such things. After bringing down the house at the Waynestock Music Festival in Knoxville in 2016, the band was invited to play that year's Bonnaroo​, sealing their fate as a trio (a fourth Pinklet, Willa McCullough, had left the band a few months prior), forever removing such words as "cute" and "novelty" from their (or anyone's) lexicon. In 2017, they released their self-titled debut. Produced by John Baker and Gray Comer, the CD is a collection of "crafted songs that sound light years beyond the typical teen dreck that’s pumped out by former Disney stars." As they've learned all too well from their father, the music business can be brutal. Success isn't guaranteed, no matter what your lineage, and requires not only hard work, but confidence in yourself and your band mates. The Pinklets have proven they have the talent, the work ethic, and the confidence. It'll be fun - and entertaining - to see how far they take it. 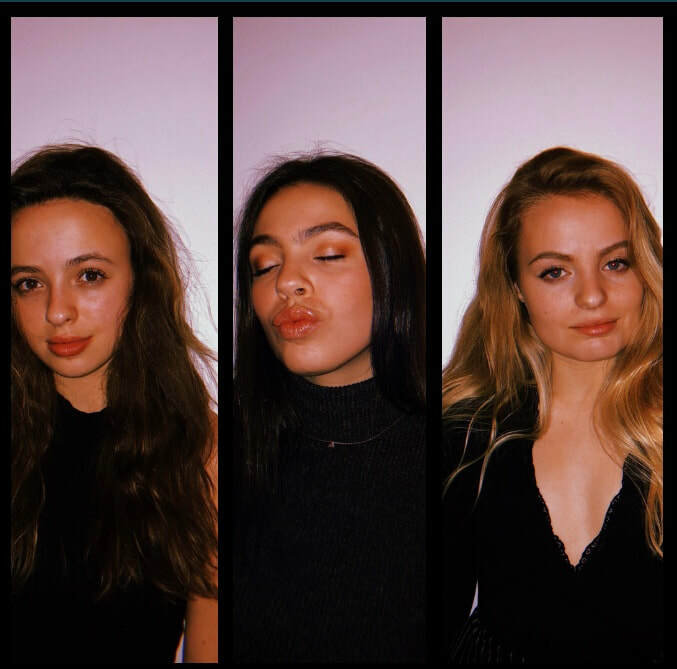 ALL SONGS AVAILABLE FOR PREVIEW AND DOWNLOAD ON THEIR MUSIC PAGE! 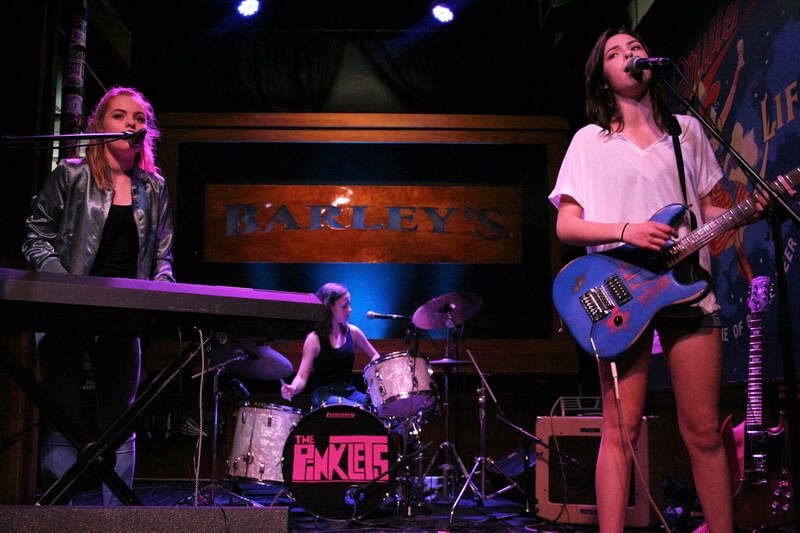 The Pinklets are on Facebook, Reverbnation, CDBaby, iTunes, and Spotify!! Website design/content by Bargain Bandsites & Bios. Photos by Abigail Arwood.